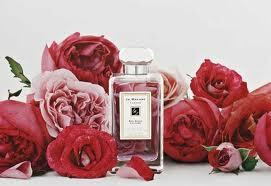 Jo Malone first launched Red Roses cologne for the Valentine’s Day in 1996. This classical rose composition was created by perfumers Lucien Piguet and Patricia Bilodeau who framed a sweet rose accord with notes of lemon, violet leaves, spearmint, clove, sandalwood, musk, and honeycomb. In time for this year’s Valentine’s Day holiday, Nordstrom is once again promoting The Red Roses Fragrance Chronicle™, a coffret of three accords used in the original Red Roses. “Sweet Lemon brings tantalising transparency; Scarlet Velvet Rose adds richness; and Honeycomb, a nectar-like warmth.” They can be layered or used individually. The coffret contains Red Roses Cologne (1 oz. ), Sweet Lemon Cologne Accord (0.3 oz. ), Scarlet Velvet Rose Cologne Accord (0.3 oz.) and the Honeycomb Cologne Accord (0.3 oz.) and retails for $110. There is also a new Red Roses Bath Oil (8.5oz, $65). Via Nordstrom.